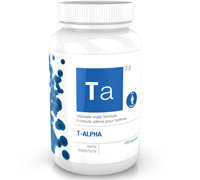 T-Alpha is a daily Test Booster supplement that naturally increases testosterone levels, you can melt away belly fat while having more energy to create lean, healthy muscles. Testosterone is responsible for increased muscle mass. Leaner body mass helps control weight and increases energy. Optimal testosterone level decreases fat mass and increases muscle size and strength. T-Alpha Test booster will give you the edge and optimize muscle growth, strength and recovery! Recommended Use or Purpose: Used in Herbal Medicine to help enhance physical capacity/performance (in cases of physical stress). 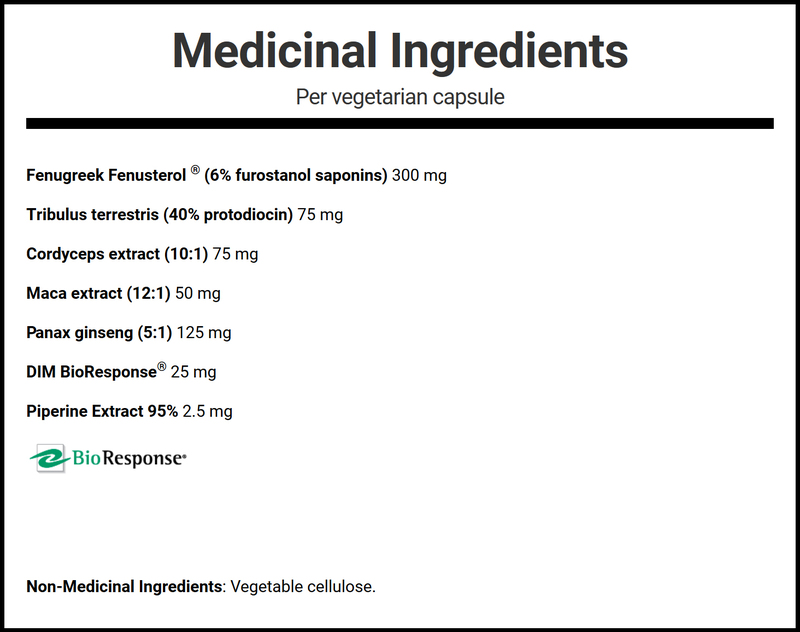 Recommended Dosage: Adults: Take 1 capsule once a day with a meal. Recommended Duration of Use: Consult a healthcare practitioner for use beyond 3 months. practitioner prior to use if you have high blood pressure. Known Adverse Reactions: Some people may experience insomnia, anxiety, or headaches, in which case, discontinue use.